Social media users sang the praises of Atlanta firefighters after they extinguished a blaze that was strong enough to make part of a bridge collapse on Interstate 85 on Thursday. 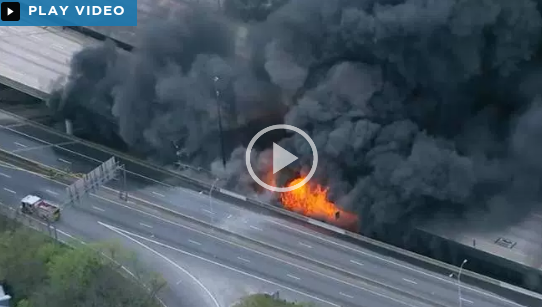 Atlanta Fire Rescue notified the public about the fire with this Instagram video just before 7 p.m. ET. The fire department later tweeted that the bridge had collapsed. The fire was put out by about 8 p.m., Atlanta Mayor Kasim Reed tweeted. There were no reports of injuries to drivers or emergency personnel,reported the Atlanta Journal-Constitution. It wasn’t immediately clear what caused the blaze, but Georgia Gov. 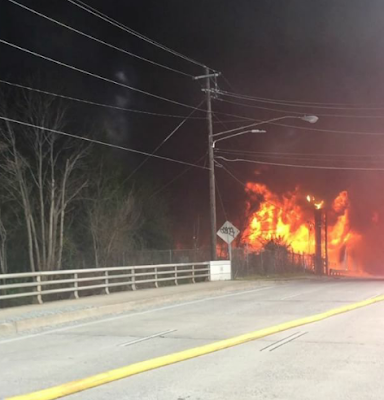 Nathan Deal said authorities were investigating the possibility that PVC piping had caught fire, NBC News reported.